So glad you've been writing, again. I love it because it's so not your introvert personality. And, I've loved reading it since I've been in the bed with the flu! 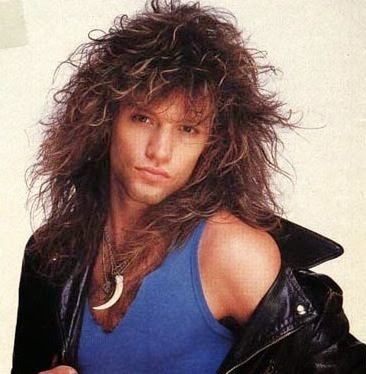 BTW John Bon Jovi doesn't look like that anymore, thank God! I can't believe we used that much hairspray. Maybe that's why my hair is so limp and fine, now? I will read anything that has 80's or Bon Jovi! You made my week. I so agree that it is truly a wonder that my hair didn't fall of off my head never to be seen again. All in the name of fashion right? Hope the reunion is/was fun!